Gov. Jerry Brown’s first incarnation as Gov. Moonbeam, the maverick Democrat dating Linda Ronstadt, feels so long ago. Gov. Moonbeam was the disparaging nickname rightwing Republicans repeated after his prognostication that one day we’d be talking on telephones bounced off of satellites. Today, there is hardly a person in this country or the world who doesn’t have a cellphone. It has been one of the fastest adoptions of new technology since what … radio? Since the beginning of human language there has been some form of deceit in communication. The Neanderthals probably lied to the Homo sapiens about the best place to hunt bison. So, in the evolution of human communication, lying was an act of survival. So is it with Donald Trump and the 33 people and three companies that we know of that have been indicted by special counsel Robert Mueller in the Russian cyber propaganda campaign. Mostly for lying. No, actually voter suppression was left up to Republican partisan operatives in states like Georgia and Kansas where they illegally collected and destroyed absentee ballots or eliminated voters from election rolls. Yes, there has been fraud, but the vast majority of it isn’t by people attempting to vote twice–– it’s by officials trying to rig the election by controlling who gets to vote. Not so in California. In the recent November elections when Orange County Republicans started losing a few candidates started repeating the “Liar-in-Chief” claim of voter fraud. Well, as it turned out, weeks after election day with one of the largest voter turnouts in decades with all the votes finally counted, the Blue Wave swept over Orange County, leaving not one Republican. That’s the truth and Alex Padilla, the Secretary of State, has the hard copy ballots to prove it. The Senate report criticizes social media companies that we’ve all come to use and distrust. 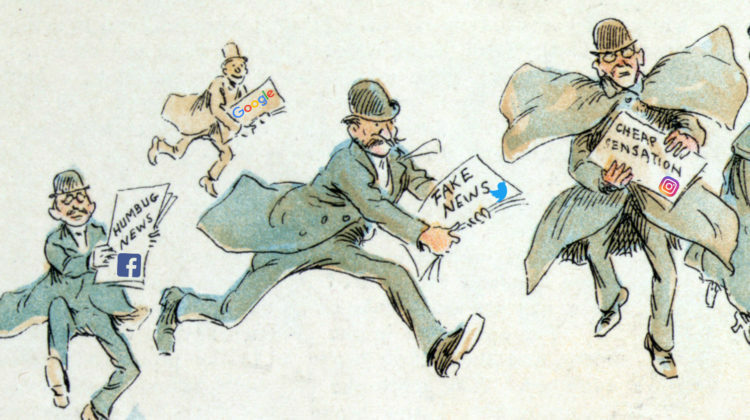 What responsibility does Google, Facebook and Twitter have for disseminating fake news and intentionally misleading information? These social media platforms need to be held to the same standards to which broadcast companies are held —the same kind of ethical standards that are taught in journalism schools and defended by newspapers large and small across America. Reporting the truth, as we know it, when we know it and speaking that truth to power is why the First Amendment to the Bill of Rights provides for the protection of free speech and of the press. It’s foundational to everything else we believe in as a democracy. Except there are those who aren’t quite sure this should be a true democracy. 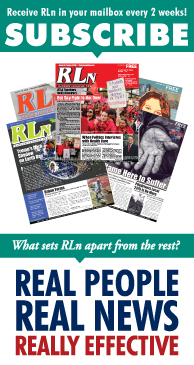 Over the course of the past 40 years here at the masthead of RL News, we have been challenged only a handful of times about the truthfulness of our reporting or my columns. 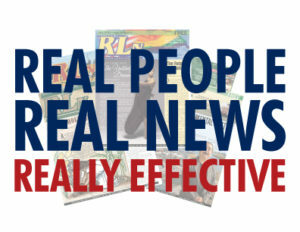 People who get paid to create positive spin for the government lodged two of those challenges, most recently in regards to our reporting on Councilman Joe Buscaino’s administration and the Port of Los Angeles. I find this shocking and amusing since both challengers came from a journalism background, but who now only write spin for their bosses or their departments. That these public servants toss the “fake news” bomb at us when they regularly engage in the dissemination of social media spin is a curious form of lying. The best defense is a good offense. The hardest kind of lies to detect are ones of omission. Having reporters who point this out or report on what’s omitted is actually helpful. So is the reporting on voices not commonly heard on the official spin machine. This is the value of having an independent media that does not kowtow to the powerful, the big money interests or the local bullies, public or private. The price of freedom is eternal vigilance even when it is unpopular with those who are empowered to lie the most.